This article was originally published in The Kurdish Review and is reprinted here at the request of the author. Father Paolo is a well-known advocate of federalism in Syria, especially for Kurds. 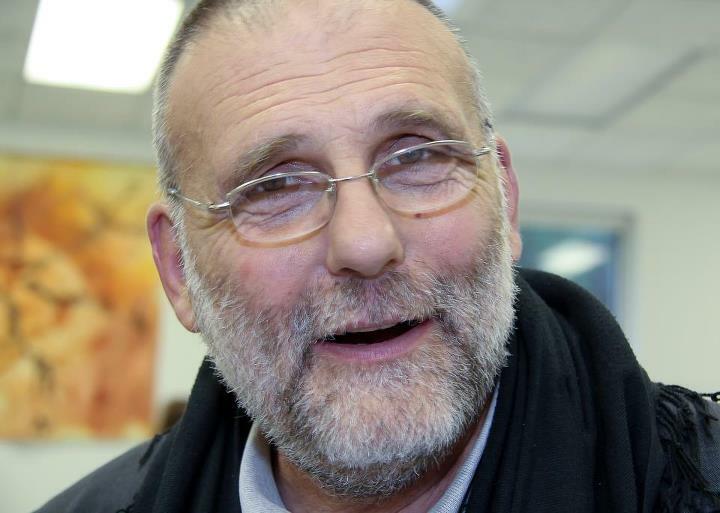 Reverend Paolo Dall’Oglio, head of the Deir Mar Musa monastery in Syria, was expelled from the country by the regime. He was accused of supporting the revolution and plotting to destabilize the sovereignty of Syria. Father Paolo is currently visiting the United States in an attempt to lobby for the people of Syria who strive for freedom in Democracy. He has been working tirelessly while using all of his connections in America to persuade decision-makers to step up their approach regarding the Syrian crisis. Carnegie Endowment for International Peace hosted him on July 23, 2012. I was lucky to be one of the very few people who were invited to attend the little event. He entered the room after everybody was already seated and waiting for him. His features were those of someone who’d been the hardships throughout his life. When he was offered a drink, he refused to have it, saying it was Ramadan. He never eats or drinks in public during the holy month of Muslims. Father Paolo was an imperative figure in promoting religious tolerance in Syria. Throughout his many years there, he worked intensely on the idea of coexistence in the heterogonous nation and many of his closest friends were from different religious and ethnic backgrounds. At the Carnegie event, the originally-Italian priest gave a lecture on the stamina of the Syrian people against its brutal regime. He said when people first took to the streets; the purpose was to demand their freedom and dignity back. After several months of perpetual atrocities by the regime, according to him, protestors were obliged to take another path of their struggle and to shift their peaceful efforts to bring Syrian to Democracy. Arming the revolution was an option that the people didn’t want to choose. “The conflict in Syria has a sectarian dimension now whose end is uncertain”, says Father Paolo. I asked if he thinks a potential Kurdish-Arab confrontation would erupt. He said Syria has already been slipped into a civil war. According to him, anything is likely to happen in a country where the number of causalities is increasingly at ridiculously high rates around the clock. He also blamed the Arab opposition for not embracing the Kurds. One of the aspects that make this man so unique is his endless support for a federal Kurdish region in Syria. He also believes that the West should realize that a federal state in Syria is the only way to protect the country’s integrity. What also surprised me about this man was his aspiration for four Kurdish federations in the greater Middle East. He thinks this soon will be a reality. Well, not Turkish Prime Minister Recep Erdoğan. 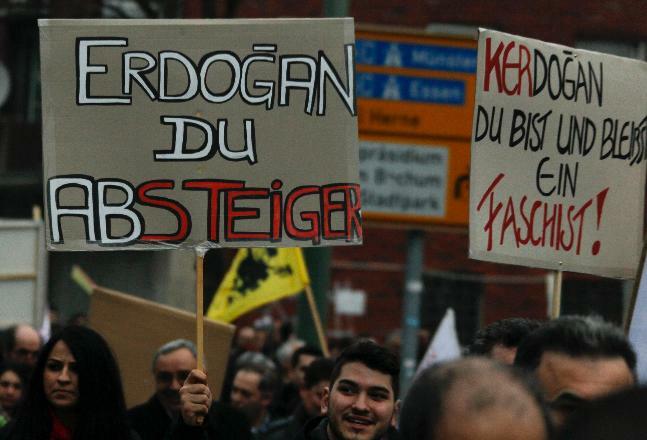 Close to 30,000 protesters flooded the streets of Bochum yesterday in a pre-planned rally to criticise the decision to honour the Turkish Prime Minister with this year’s Der Steiger award. Protesters were local Alevi, Kurdish and Armenians, who oppose the ruling AK Party’s policies in Turkey. Der Steiger is awarded in various categories and Erdoğan was to have received it for humanity and tolerance. One leading German conservative had criticised the decision to award a prize for tolerance to Erdoğan, citing what he called a lack of press freedom and the ‘suppressing’ of religious and ethnic minorities in Turkey. Alexander Dobrindt, general secretary of the Christian Social Union (CSU), which is part of Chancellor Angela Merkel’s centre-right coalition government, said it would be more appropriate to award Erdoğan a prize for intolerance. One news source said organisers of the German prize decided against honouring Erdoğan in light of the protests and criticism. However, the official Der Steiger website only says that Erdoğan cancelled the trip to Germany due to the deaths of Turkish soldiers in a helicopter crash in Afghanistan. Award organisers, according to the German news agency DPA, said they changed their mind because Erdoğan was not travelling to the award ceremony in Germany. To accord Erdoğan this honor although he is responsible for massive human rights violations in Turkey is not only a slap in the face for the victims of arbitrary imprisonment and torture in Turkey, it also tarnishes the reputation of this award. There has been a steady wave of arrests in Turkey since 2009, primarily targeting Kurdish journalists, politicians, human rights activists and opposition members. There are currently 103 journalists, 13 members and leaders of the Turkish human rights organization IHD, 52 leaders of the KESK trade union, and thousands of members of the democratic Kurdish party, BDP, awaiting trial. In spite of the complete lack of evidence, they are accused either of belonging to the banned Kurdish Workers’ Party (PKK) or of denigrating the Turkish people. The anti-terror law provides the Turkish government with a foundation for massive restrictions on freedom of the press. Pro-Kurdish statements made in public, including those made at peaceful demonstrations organized by the opposition party, are frequently the entire basis for arrests. In recent days it has also come to light that from 2006 to 2010, more than 4000 Kurdish youths were sentenced. These twelve- to seventeen-year-olds were accused of expressing pro-Kurdish sentiments or throwing stones at a demonstration. The children who have been released describe torture and abuses. Thousands of children and youths, however, are still being held as “terrorists” in Turkish prisons. They are often without protection of any kind, at the mercy of judicial authorities and adult fellow prisoners. The authorities have been aware of this situation since 2011, but have done nothing. In spite of Erdoğan’s announced intention to continue emphatically advocating for equal rights and for the protection of everyone living in Turkey regardless of ethnicity, Muslim and Yazidi Kurds as well as Christian Assyro-Aramaeans still suffer direct and indirect discrimination, persecution and violence. The Steiger Award should be an acknowledgment of extraordinary service and dedication. It sends a signal, and confers recognition. A government leader who uses an anti-terror law to legitimize grave human rights abuses should not be encouraged to continue running roughshod over the basic rights of citizens in the country he governs. Human Rights Watch World Report: How do the Kurds fare? 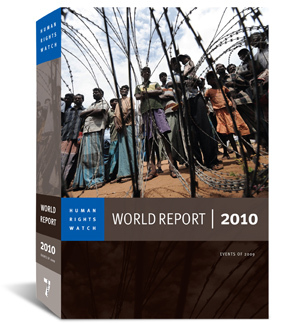 In its recent publication, the 2010 World Report, Human Rights Watch summarises human rights conditions in more than 90 countries and territories worldwide from 2009. It reflects extensive investigative work undertaken last year by Human Rights Watch staff, usually in close partnership with domestic human rights activists. 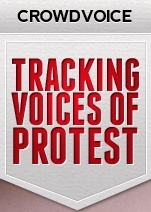 Below you will find snippets of information about the Kurds from the 624-page HRW report. I only highlight them below. If you want more information and context regarding these references, please download Kurdistan Commentary’s 6-page summary (.pdf) of all references to Kurds in the HRW report. If you want to read the entire report, or various country chapters, please direct yourself to HRW website. The full report is a free, 4MB download. The five countries that are mentioned with reference to the Kurds are: Armenia, Iran, Iraq, Syria, and Turkey. The chapter on Iran, however, mostly focuses on the elections from last summer. Very little is mentioned about the issues facing the Kurds in Iran. The obstacles to change [vis-a-vis the Kurdish issue] remain clear. Numerous provisions of the current constitution restrict human rights and fundamental freedoms, and a new constitution must be a priority. There were continuing prosecutions and convictions of individuals who expressed nonviolent critical opinion or political views on the Kurdish issue, among other subjects viewed as controversial. The criminalisation of opinion remains a key obstacle to the protection of human rights in Turkey, although debate is increasingly open and critical. Restrictions on broadcasting in minority languages were progressively lifted in 2009. January saw the opening of a Kurdish-language state television channel, TRT Şeş, and in November there was an easing of restrictions on private channels broadcasting in minority languages. Demonstrators deemed supporters of the Kurdistan Workers’ Party (PKK) are treated similarly to the group’s armed militants by courts. Since November 2007 the pro-Kurdish Democratic Society Party (DTP), which has 20 members in parliament, has been faced with a closure case pending before the Constitutional Court for alleged separatist activities. In Ankara in November lawyer Filiz Kalaycı, former head of the Ankara branch of the Human Rights Association and a member of the association’s prison commission, stood trial with three other lawyers and the head of a prisoners’ solidarity association on charges of PKK membership. Serious tensions between the Kurdistan Regional Government (KRG) and the Iraqi central and provincial governments continued over control of territories lying between the mainly Kurdish- and Arab-inhabited areas in northern Iraq. In January 2009, 14 of Iraq’s 18 governorates held provincial elections (the three governorates comprising the Kurdistan region had their elections in July; no elections were held in the disputed Kirkuk governorate). On June 24, 2009, the Kurdistan National Assembly (the regional parliament) passed a draft regional constitution that laid claim to disputed areas, provoking outrage from central government leaders. “Honour” killings by family members remain a threat to women and girls in Kurdish areas, as well as elsewhere in Iraq. As the conflict intensified between the Arab-dominated central government and the KRG over control of the disputed territories running across northern Iraq from the Iranian to the Syrian borders, minorities found themselves in an increasingly precarious position. Syria’s poor human rights situation deteriorated further in 2009 and the repressive policies toward its Kurdish minority continue. Security agencies prevented political and cultural gatherings, and regularly detain and try Kurdish activists demanding increased political rights and recognition of Kurdish culture. The SSSC sentenced over 45 people in 2009 on various grounds, including membership in the banned Muslim Brotherhood, Kurdish activism, membership in unauthorized political groups, and independent criticism of the government. The authorities have kept silent about the fate of at least eight Kurds detained since September 2008 on suspicion of ties to a separatist Kurdish movement. Kurds, Syria’s largest non-Arab ethnic minority, remain subject to systematic discrimination, including the arbitrary denial of citizenship to an estimated 300,000 Syria-born Kurds. Authorities suppress expressions of Kurdish identity, and prohibit the teaching of Kurdish in schools. In March police stopped a musical event organized by a Kurdish political party in Qamishli, and security forces broke up gatherings celebrating the Kurdish New Year in Qamishli and Derbassiyeh. the sermon in Kurdish after yesterday’s evening prayers. Mosques in Turkey are run by the Directorate of Religious Affairs, a state body that regulates the role of Islam in the country. The sermon will be broadcast today on TRT6, marking another first, in which state-run television is broadcasting a religious service in Kurdish.